It’s one of the least hotly debated topics in all of America – something that the old people in Congress have argued about a couple of times, and an issue that has spawned organizations to lobby for them. 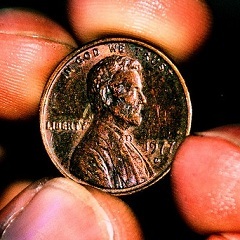 Should the country eliminate the penny – that which bears the vampire hunter’s face on it – from the currency system of the United States altogether. But considering recent circumstances, is that really the best idea? Everyone argues over the mundane facts when it comes to issues like these, like how we must validate the late president with more than a measly five dollar bill, or how the penny is worth less than any piece of engraved metal in the world. Some might even say that melting down coins for their raw materials may be more profitable than being a drug dealer. But for all of us at Cal, we should focus on the truly important reason. Remember that proposition that everyone on campus was blabbering on about a few weeks ago? Yeah, Prop 30! After the relentless campaigning by pretty much everyone who was politically active on campus – which is to say, everyone – it passed by a solid seven percent. When it hits, it’s going to raise sales taxes on everyone in the state – yes, that includes all of you hardworking, money-deprived college students – by a quarter of a cent. So regardless of how it costs more than a penny to make one and how limited their utility actually is, it’s imperative that we keep it. After all, we can’t go around saying that sales tax has gone up by one-twentieth of a nickel, can we? It’s just more catchy the way it is.